The students began the unit by examining a political cartoon from the French Revolution, by describing what they see, what they think the meaning is, and what questions they still wonder about. After that initial examination students read from a textbook about the three social classes in France or the three estates. They were then able to connect the symbolism in the cartoon with the specific situation in France. 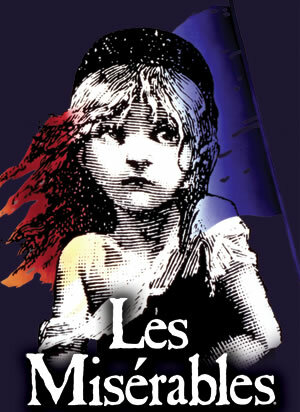 Students will be reflecting on the big picture of revolution through scenes from the musical Les Misérables, namely the issues of justice, violence and consequences. The lyrics for the musical can be used to support students reflection. In order for students appreciate the different social situation, students will write down eight important, interesting or insightful things from the segment. Students will then express the essence of what they have seen through associating their ideas with a color, symbol and image. First, students will select one of their notes and choose a color that best describes the essence of the idea with an explanation of why. Then students will select another note and choose a symbol that best represents the idea with an explanation of why. Finally, they will select one last note and explain represent it with an image and explain the analogy. After viewing another segment, students will write a comparison of the values and priorities between the priest and Javert. The priest believes that people can change and therefore shows kindness and forgiveness, calling Valjean, "brother." Javert, on the other hand, is inflexible, strict and appears to believe that people are beyond redemption--he always addresses Valjean by his prison number, 24601. Javert embodies the law, whereas the priest is the picture of grace. When injustice combines with a people's voice being silenced revolution becomes increasingly attractive. Unless the heat is turned off, the boiling kettle will begin to whistle. Students will reflect on how injustice turns to revolutionary anger. The final segment has students reflect on the alternative to revolutionary situations, where privilege and inequality is maintained through fear. The musical has asks the audience to "look down" and have empathy on those who suffer. The finale therefore challenges the audience to love because "to love another person is to see the face of God." Students reflect on the importance of compassion for a healthy society. Students will collaborate to create a timeline of the French Revolution. Each student will receive a timeline event that has a question that they are to respond with a paragraph summary. The timeline will then be constructed in class and used to understand the rapid succession of events. Students examine the similarities and differences between the American and French Revolutions by developing a Venn diagram. Afterwards the class discussed the French motto: Liberté, égalité, fraternité (Liberty, Equality, and Fraternity). As these to revolutions began to reimagine their national identity (brotherhood) each was pulled toward ideal. The American Revolution was pulled toward Liberty, particularly as they sought independence as a colony. The French on the other hand was dealing more with an internal problem and were pulled more to Equality to resolve the issue of poverty. France was given a more difficult challenge and in many ways was why the French revolution was less successful.